Engineers hire me to help them win more work. I am a consultant, speaker, trainer, coach, and author of Win More Work: How to Write Winning A/E/C Proposals. As an account executive with Accenture—the world’s largest management consulting firm—I learned to write proposals that outpaced competitors such as IBM, Deloitte, and Lockheed-Martin. Today, I help engineering firms develop their professionals to be better marketers and sellers. I do this through training, consulting, and coaching. What’s more, I help engineers improve processes and systems (e.g., CRM) and by helping them createa sales driven culture. I was born on an Air Force Base in Glasgow, Montana and grew up in the suburbs of Atlanta and in Tabor City, a small farm town in North Carolina. Through the encouragement of a terrific high school teacher, I overcame my paralyzing fear of public speaking (in eighth grade, I played sick on the Fridays that oral book reports were due) and am now a professional speaker. Having lived many years in New York City and San Diego, I now reside in Lexington, Kentucky. I earned a B.A. in Economics from the University of North Carolina–Chapel Hill. I help engineers develop the core skills that help them have fulfilling and rewarding careers. I am the founder of the Engineering Management Institute website and podcasts through which I have coached thousands of engineers. After reaching the esteemed level of associate before age 30 at a reputable civil engineering firm, I realized that my success was largely due to the development of my non-technical skills, that is, my core skills such as communication, leadership, and the ability to build relationships. I have since left my career as a design engineer to instead inspire engineers to develop their soft skills. I do this through coaching, speaking, training, and writing. 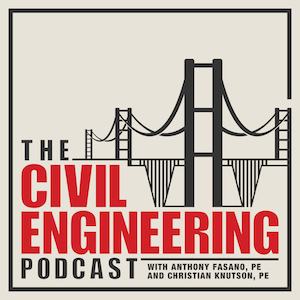 “The Civil Engineering Podcast” (available on iTunes, Podcast Republic, Stitcher and more), which has been downloaded more than 650,000 times in just over one year. Together with my nine year-old daughter, I wrote a series of children’s books titled Purpee the Purple Dragon. We have delivered hundreds of the books to pediatric cancer centers around the US. I earned my B.S. and M.S. degrees in Civil Engineering from Lafayette College and Columbia University respectively, and my executive coaching certificate from the Institute for Professional Excellence in Coaching (iPEC). Betty Arellano is an engineer who coordinates most of the day-to-day activities for the Seller Doer Academy. She has also been instrumental in growing The Engineering Management Institute. Arellano graduated from De La Salle University Philippines with a Bachelors degree in Chemical Engineering. She received her Masters degree in Chemical Engineering from the University of the Philippines (UP). Her Masters’ thesis was about studying different carrier materials for upflow anaerobic sludge blanket reactor. During this time, she had a chance to work for a wastewater treatment firm in Iowa as a fellow student for 6 months. She and her other UP colleagues formed a consulting company to assist companies with their environmental compliance, permitting requirements and impact assessment. Shortly after, Betty was selected as one of the Philippine representatives for the Industrial Biotechnology and Technology Transfer in Germany, which lasted for 10 months. Betty moved to the United States in 2006, and has worked in the professional training field for engineers since 2012 helping to build the Engineering Management Institute website and brand.